This is a quick little mission that will be your first opportunity in the game to grab some of that elusive sponduli. So let’s get down to business and figure out how to get back Mrs. Bee’s hive and earn a nice wad of cash. When you first enter Windy (the hub world in Conker’s Bad Fur Day), if you take a right you’ll run into a cutscene with Mrs. Bee. She’ll cry to you about how she has lost her bee hive to, “some nasty wasps” and that due to her husband (who we’ll meet soon enough) not being around, she needs you to help her get the hive back. If you were paying attention during the opening cutscene of this game, you’ll already know where the hive is located (or the general area at least). If not, well I’m here for you. Head up the tan pathway, going in the direction the sign states is “Nasty” to reach the gigantic wasps nest. Here you’ll find the Bee Hive. Run Conker into the bee hive and he’ll pick it up. 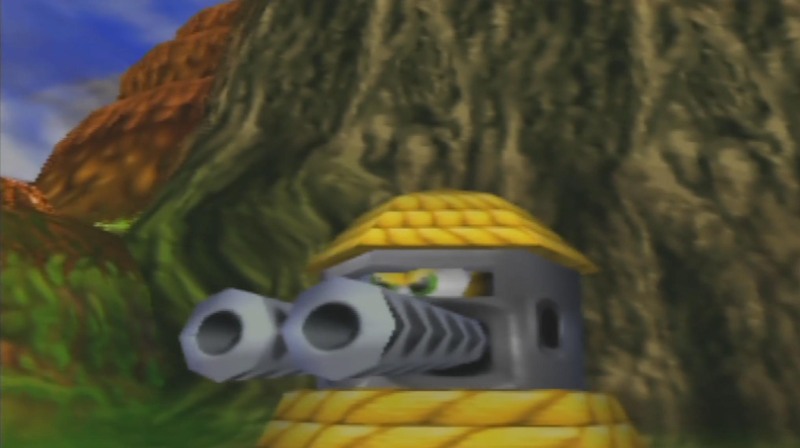 Picking up the hive will cause a cutscene to occur where the,” nasty wasps” will show up and complain that Conker is stealing their, “nice new hive”. After the cutscene ends, run down the hill back to Mrs. Bee. The key to ensuring the waspsdon’t sting you on the way back is to stay on the tan path the whole way. Veering off into the grassy areas will slow Conker down allowing him to get stung by the wasps. 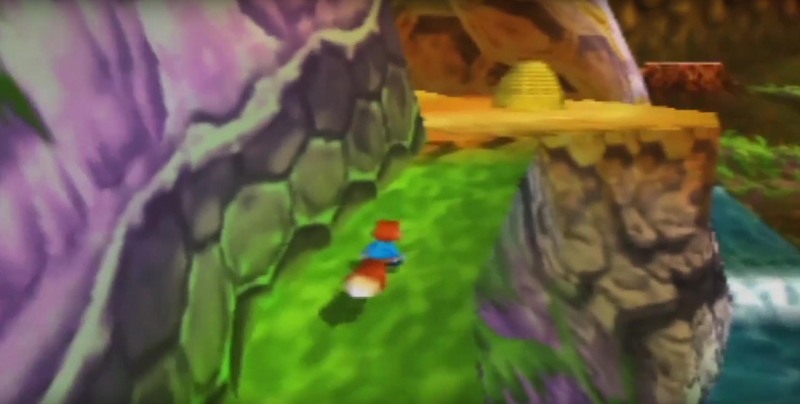 Once you make your way with the hive back to Mrs. Bee successfully a cutscene will occur again where Conker will throw Mrs. Bee the hive. Mrs. Bee will then proceed to enter into the hive and transform it into a machine, which she of course uses to kill the wasps. After the wasps get shrekt, Mrs. Bee will fork over $100 cash money! Success!